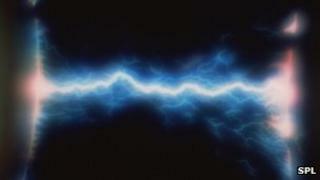 Image caption Could electricity beat bedsores? Underwear designed to jolt the buttocks with electricity may be able to prevent dangerous open wounds called pressure sores, claim researchers. Sores form when people are stuck in one position for too long, which compresses the skin and cuts off the blood supply. The Royal College of Nursing said sores cost the NHS up to £2bn a year. Pressure sores are a common problem in hospitals around the world as patients are often too ill to get out of bed. Older people are at heightened risk because of poor circulation. Half a million people in the UK develop sores each year. Doctors at the University of Calgary tested underwear which placed two pads of electrodes on each cheek. Robyn Rogers, a research nurse at the university, said: "Pressure ulcers can be terribly debilitating. "Their incidence has not changed since the 1940s, indicating that the current methods of prevention simply are not working. "Our hope is that this innovative, clinically friendly system will eventually make a difference in the lives of millions of people." The researchers said the pants were popular with nurses and patients, however, much larger studies would be needed to test how effective the underwear was at preventing bedsores. Dr Peter Carter, the chief executive of the Royal College of Nursing, said: "Pressure ulcers, which can be prevented by good skincare, nutrition and regular movement, are not only very painful and distressing, they cost the NHS up to £2bn per year to treat. "The expertise is out there, and good practice in many areas shows that money can be saved, not to mention the distress which can be prevented. "All care settings need to make a concerted effort to make pressure ulcers a thing of the past, and if new technology can help and is cost-effective then nurses will welcome that. "However, this must not be a substitute for having the right number of well-trained staff on a ward."